Remember the old days when making hard boiled eggs involved boiling a pot of water on the stove. Your kitchen would heat up and then, to add insult to injury, half of your eggs would crack open during the boiling process. Don’t even get me started with the hit or miss process of peeling the eggs. 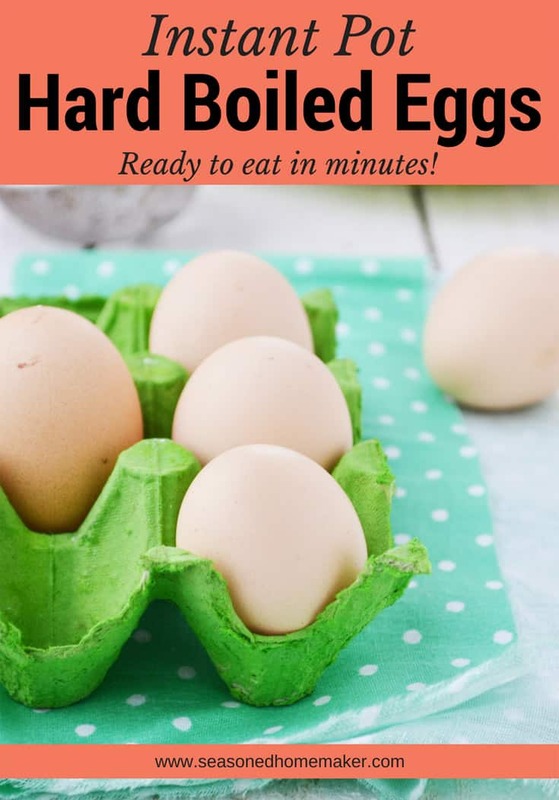 Well, I’m here to tell you that there is a way to get perfect hard boiled eggs every time by using the Instant Pot Pressure Cooker (affiliate) ~ although, technically, they really aren’t boiled. But, we’re not going to be picky here because I’m going to show you how to get perfect eggs that peel with ease. There’s just not much to this one. Here’s all you do. Place the small trivet that comes with the Instant Pot into the bottom of the liner pot. Place 1 dozen evenly spaced eggs on top of the trivet. Add 1 C. of water to the Instant Pot. Once finished, allow the pot to naturally pressure release for 5 more minutes. Quick release the rest of the pressure. Carefully, place the eggs into ice water until completely cooled. Store in fridge or peel and use right away. FYI ~ the peel easily slips right off. Note: Occasionally an egg will crack during the process. No worries because these are a little easier to peel. This usually happens when I don’t pay attention to the time. The whole process takes about 15 minutes which means a lot of time saved to do other things. 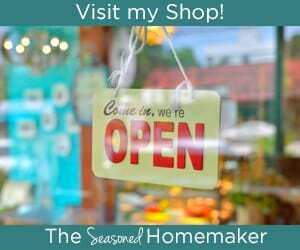 Think of all the wonderful dishes you can quickly make such as deviled eggs, potato salad, and egg salad sandwiches. Yum.